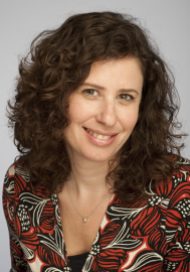 Janine Waldman MSc FCIPD has almost two decades of experience in her specialisms of training, facilitation and executive coaching, as well as a wealth of expertise in consultancy and organisational development. She held senior HR positions in both the UK and New Zealand before becoming an independent consultant. As a facilitator she has delivered numerous management development, coaching and professional skills programmes across the public and private sectors. Her clients include Metropolitan Police, 30 further education colleges, Bieresdorf (Nivea), Ashridge Business School, Reading Council and John Laing. She is co-author of Positively Speaking: The Art of Constructive Conversations with a Solutions Focus. I discovered TetraMap about 15 years ago when I was head of training for an international healthcare manufacturer. I was so impressed with how in less than a couple of hours people gained deep insights into their own and other’s behaviour that we introduced it throughout the organisation. This had a significant impact on the performance and development of individuals and teams. Since having my own coaching and training business I have used TetraMap with clients such as Abbey, the CIPD and Ariel Communications and continue to be amazed by how effective it is and how it fits so well within management development and communication programmes.